Bill Gates. Evil Eugenicist. At It Again. Bill Gates, one of the world’s most notable (or notorious) billionaires is at it again, announcing a remote controlled implantable birth control chip that could last up to 16 years. One of the New World Orders’ leading depopulation pushers is at it again. 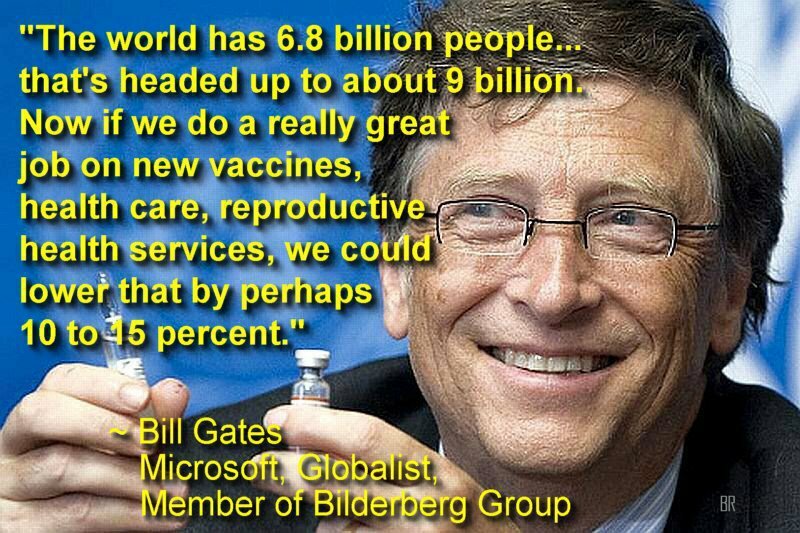 If he can’t kill enough people through vaccinations and GMO’s, then birth control is the next logical addition! Langer connected the Gate’s Foundation with MicroCHIPS, a Massachusetts firm licensed to use a controlled-release microchip technology. Since then, the partnership has been busy developing the technology which could see a release as early as 2018, with safety tests starting this year. The birth control microchip would hold nearly two decades worth of a hormone commonly used in contraceptives and dispense 30 micrograms a day, according to a report from the MIT Technology Review. The implant’s daily dose works by a small electric charge that melts an ultra-thin seal around the hormone.The birth control microchip can be implanted in the buttocks, upper arm or abdomen. 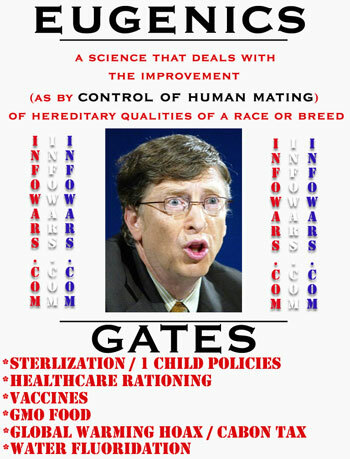 Considering this is the same guy who has also funded an oral bait vaccine that sterilizes rats (see: “Rodent Biocontrol and Crop Protection” here) and genetically engineered vaccinating mosquitoes, a treatment that by its very nature couldn’t possibly generate the consent of all patients involved, the profound implications of Gates’ new birth control microchip on human reproduction are astounding. What are your thoughts on this implantable chip? Does it raise concern? Do you think that this technology is a positive innovation? Do you think there could possibly be some ulterior intentions behind the production of this technology? July 12, 2014 by Jeff Roberts.